DETROIT -- The Ford brand set an April record for U.S. sales of utility vehicles as Ford Motor Co. gained market share for only the third time in the past 16 months. It also was the automaker’s first year-over-year increase since January. The company’s total U.S. sales rose 5.4 percent last month, with utilities surging 14 percent. Truck volume rose 2.8 percent and cars were up 0.8 percent. 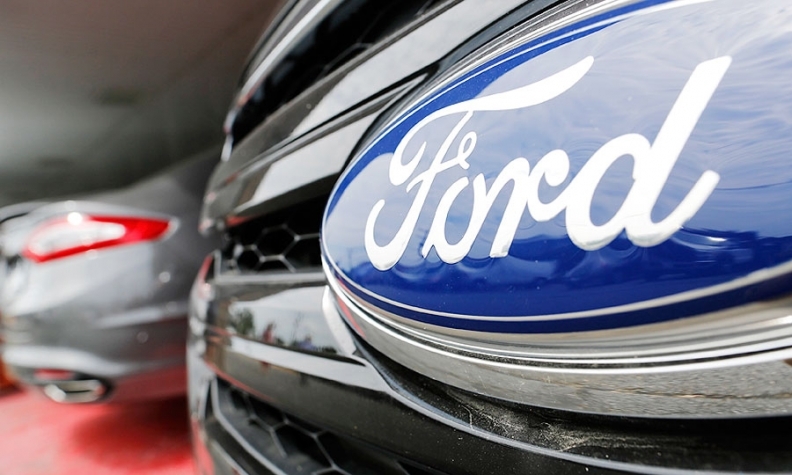 Sales of the F series declined slightly -- inventory remained tight as Ford continues to ramp up production of the redesigned F-150 -- but average transaction prices for the truck jumped $3,200 from a year ago, to a record $42,600, Ford said, citing data from J.D. Power. Half of F-150 sales in April were the 2015 version, up from 28 percent in March, LaNeve said, adding that Ford has about half as many F-150s in inventory as it did this time last year. Production at Ford’s F-150 plant in Michigan is at full speed, while the plant near Kansas City, Mo., is almost there. Sales of another newly redesigned nameplate, the Edge, climbed 78 percent last month, after falling 29 percent in the first quarter, before the 2015 version went on sale. Sales of the Escape also turned positive in April, posting a 4.8 percent gain and beating the Fusion to become Ford’s best-selling non-pickup nameplate, after a first-quarter decline. “We had an incredible SUV month -- really a breakout month,” LaNeve said. In contrast, while Mustang deliveries rose 82 percent, combined sales of all other car nameplates fell 8.3 percent. Sales were down 5.3 percent for the Focus and 15 percent for the C-Max. Ford last week said it would cut 700 jobs and eliminate a shift at the Michigan plant that builds those two cars. The Lincoln brand posted an increase of 20 percent. But excluding the MKC, which wasn’t on sale yet in April 2014, Lincoln sales fell 7.9 percent. On the F Series, one reason transaction prices have risen so quickly is that Ford has cut back on F-150 fleet deliveries of the truck until the summer, when inventories are expected to reach normal levels again. In addition, early buyers have disproportionately selected high-end versions, with the Lariat, King Ranch and Platinum trims accounting for 60 percent of F-150 retail sales in April.